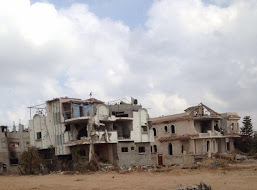 GAZA–September 1, 2014 – Visiting Gaza for a day amidst its rubble, Bishop Shomali, Patriarchal Vicar for Jerusalem and Palestine,interacted with and met Gaza’s Christian communities. A ravaged landscape and people,who mostly want to leave,awaited him. At the same time, life continues and the bishop could detect a glimmer of hope after the war. 1. 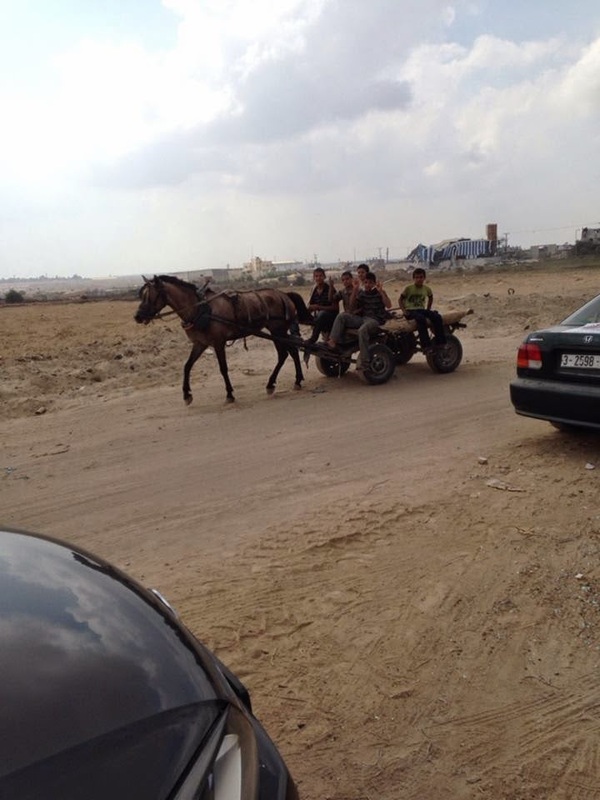 You spent yourday yesterday in Gaza.What did you see? Whom did you meet? When we arrived in Gaza with the Chancellor of the Latin Patriarchate, Father George Ayoub;the bursar Father Imad Twal;and the Superior General of the Sisters of the Rosary,we were greeted at the Erez check point by a delegation from the parish, led by Father Mario da Silva,vicar of the parish.The priest, Father George Hernandez, had not yet returned from Rome where he had an audience with the Holy Father.Then we drove through the destruction of the Shejaiya neighborhood, and a devastated landscape greeted us: ruins,rubble, hundreds of destroyed and burned homes. We felt as though we found ourselves in the aftermath of the SecondWorld War.We met a few familie swho shared their drama.Many were critical vis-à-vis Hamas since the war they thought had left them homeless and losers.We saw people suffering from water shortages, queuing to fill bottle sand containers from tanks on the street, made ​​available by Caritas Jerusalem.We welcomed teenagers who sought ironin the rubble or anything of value in the ruins for resale. We visited the Sistersof Charity of MotherTeresa who remained during the war taking care of thirty to fifty elderly and disabled persons. They weres miling, happy with their work. One night,they were warned to flee because their house would be bombed. But thanks to the intervention of the Italian Embassy,​​ they were able to stay home with the children and the elderly. It was the only solution because they could not find another place of protection from the bombs. Afterwards, we visited the house of the Sisters of the Incarnate Word. Their recently restored house was hit by debris from an explosion and therefore needs another restoration. Then we met with the Orthodox Bishop Alexios of Gaza, of Greek origin. Like a good shepherd, he stayed with his parish during the war. He told us how at the heart of the conflict, he opened his church to Palestinian Muslims during Ramadan, offering them a hot meal every night to break the fast. We also went to the Anglican Al Ahli Hospital that hosted 4,000 people injured in tragic circumstances. We stopped at the Rosary Sisters whose school bore the impact of three explosions, less serious this time than the previous war. The entire visit was a real marathon. It ended at 2:00 pm, due to the early closure of Erez, and so we could not visit our parish school, which was open to a thousand homeless people, fed, and cared for by Caritas throughout the war. 2. The damage is considerable. 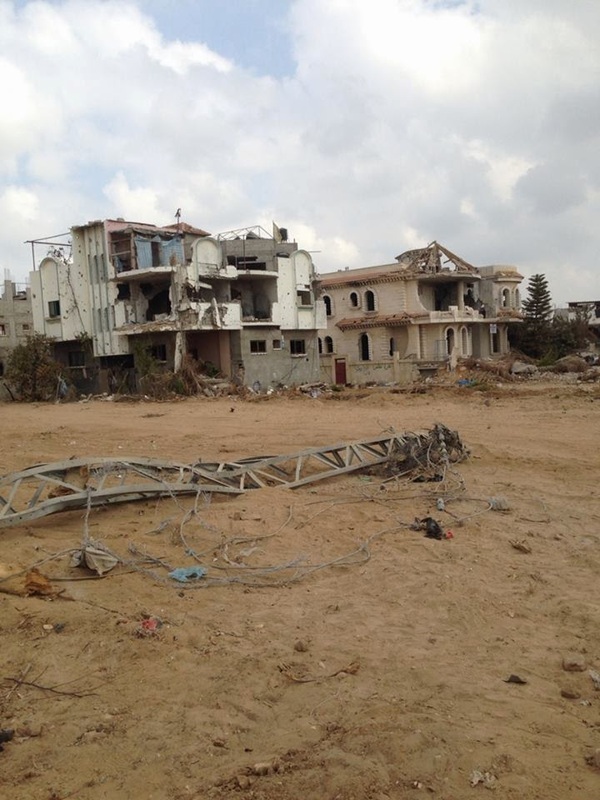 What is the predominant feeling among the people of Gaza?Fear, despair, etc? This is the paradox: we expected to see people sad or crying but we were surprised to meet courageous people, resuming life with perseverance.People go back to work gradually. Fishermen have found a little hope; they go out from 6:00 in the evening and return at dawn,their boats full of fish, including species never before seen in their nets. Someone told me that after 8am, they find no more fish in the market, because the people had been deprived of it for so long…Yes, we saw hope shine in the eyes of those we met, and not the despair we expected. 3. Have you visited the schools that house the refugees? What is the future for these people? Yesterday was the start of school in the country. Could this happen in Gaza? More than 30,000 houses were destroyed. Refugees who lost their homes number approximately 350,000. They continue to sleep in UNRWA schools, or with their parents and relatives. I also saw people sleeping in the streets on makeshift mattresses, until the tents arrive that the UN should send before winter. 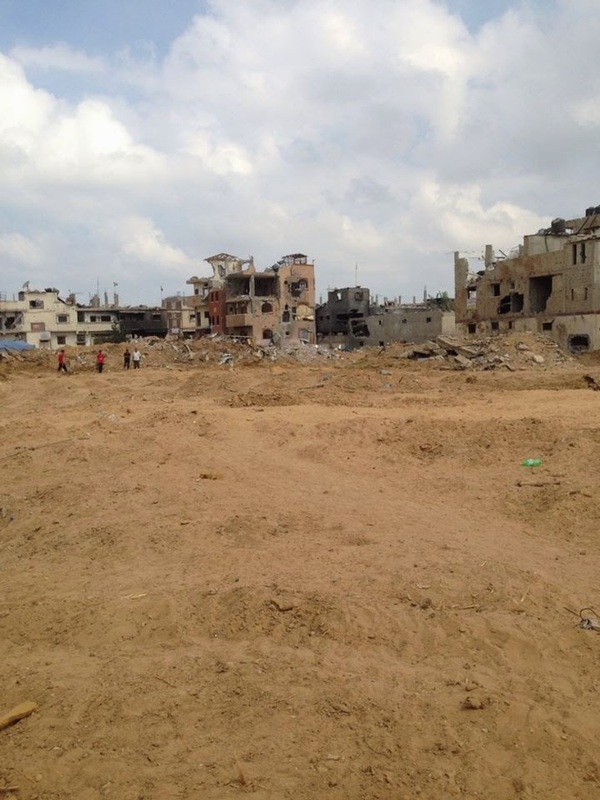 Tents… while waiting the reconstruction of Gaza; this will take years and cost billions of dollars. As for the new school year, it cannot take place, but I was told that government schools will resume classes first because they were not affected by the bombings. The UNRWA schools were the most affected. Some weeks are needed to rehabilitate them. 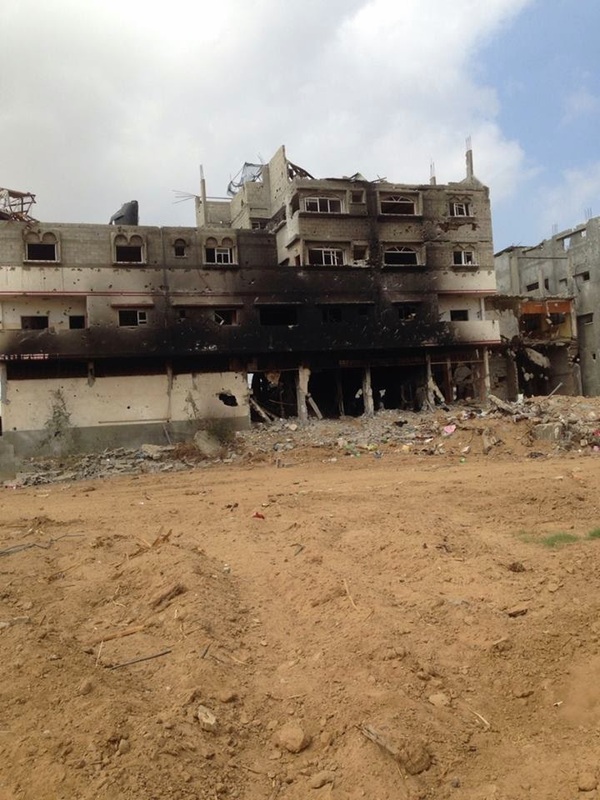 In terms of our school in Gaza, we still need at least a month to restore and accommodate students. Then the schools will face serious financial problems. Because the families of students cannot pay for tuition, we have to find how to help. 4. What is the role of the Church there, of religious communities and Christian associations of humanitarian aid? The Church was very active during and continues after the war: Orthodox,Anglicans and Muslims were unanimous in recognizing the work of the Catholic Church and its humanitarian agencies, including Caritas, Catholic Relief Services, and the Pontifical Mission,who worked along side other Christian agencies like World Vision. All did a wonderful job of distributing water, bread, blankets, hot meals and medicines.They also managed to get fuel to hospitals since the main power plant was badly damaged, and they are now generating engines that provide electricity. 5. 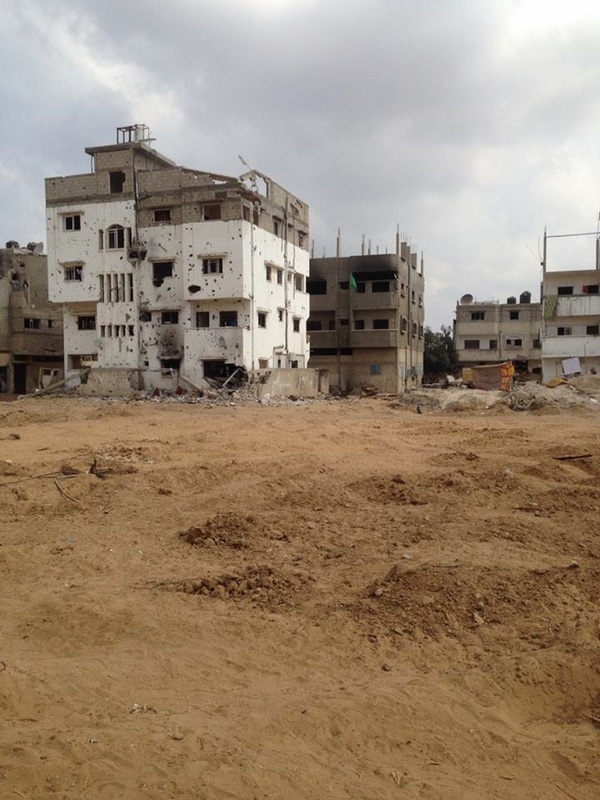 What hope exists for the people of Gaza? Rebuild until the next war? Do they believe in the truce? And especially do they still believe in peace? After three consecutive wars, interrupted by brief truces, the people of Gaza have lost hope in a truce and believe little in peace. Christians are reduced to less than 1,500, think only of leaving. 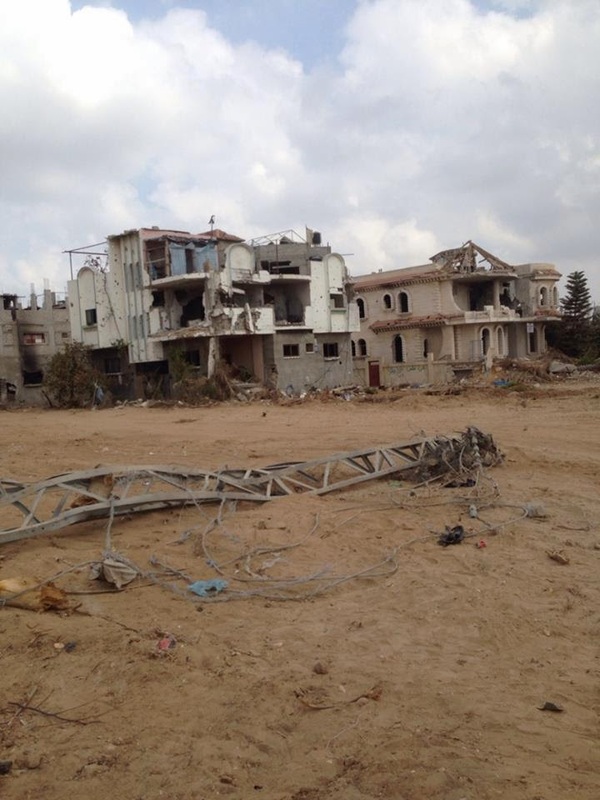 Some Gazans nevertheless still believe in peace.It is those who believe they have won the war and think that soon they enjoy all the benefits of this victory: open access, creation of a port and an airport. The facts, especially the in the future, will say who won.The victory, in truth, will be political or diplomatic,because from a military point of view, all are losers. Negotiations are expected to begin in September: whoever gets the most will have “won” the war. As for us,we pray that this is the last war in Gaza and the coming of peace.This is our hope.